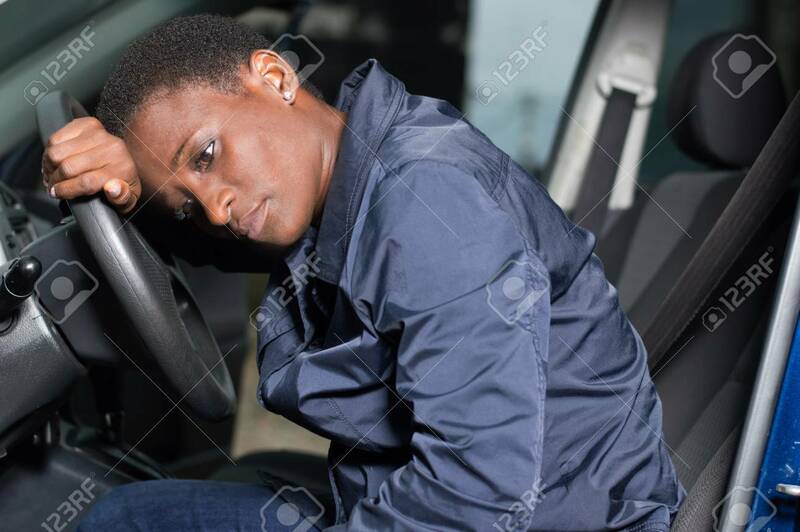 Young Woman Mechanic Sitting At The Wheel Of A Car, Head On The Wheel And Pensive. Banque D'Images Et Photos Libres De Droits. Image 111828761.